I know, I know….it’s been well over a month since my last blog post….the longest pause from blogging since I started this blog over 4 years ago. I’ve recently mentioned that, as time goes on, I feel like I am losing momentum when it comes to writing blog posts. After a while, you just feel like you’re posting the same ol’ stuff over and over again. 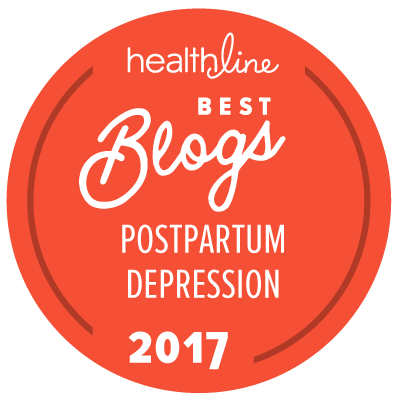 I can only blog so much about my postpartum depression (PPD) experience and what I learned from my road to motherhood…. without sounding like a broken record. I still look for media developments that give me hope that things are starting to change with regard to public awareness, as well as research that sheds new light on postpartum mood disorders. My recent attendance at the annual Postpartum Support International (PSI) conference has inspired me to write this post. Let me just begin with the fact that– despite the fact that I look Chinese– I act and speak very American. I’d readily have a conversation in Mandarin with someone from China or Taiwan, and then just as readily turn around and speak to the caucasian person next to me with zero hint of being of Chinese descent (and not even of NJ residency, either, or so I’ve been told). Standing next to an Asian woman from China or Taiwan, I am painfully aware of how different I am from them. I am much darker skinned and a heck of a lot heavier. Growing up, I was always described by my parents’ friends and relatives as “healthy looking” or “sturdy” via a specific word in Chinese. That’s not really meant to be a compliment or anything. Just a nicer way of putting the fact that I was “big.” Funny thing is, when I was a teen (and compared to how I am now), I appeared frail and was always getting sick. At one point, I considered becoming bulimic (forcing myself to throw up after eating so I could be slimmer), but luckily only tried it once. It was gross. Also, unlike so many Asians I know–those born in the states and those born overseas– I’m not reserved or shy with letting people know how I truly feel about something. I say what’s on my mind. There’s no holding my thoughts back and I’m finding that, as I get older, my filtering mechanisms don’t work as effectively as they used to! I mean, c’mon, I blog and wrote a book about my PPD experience, for crying out loud. I wasn’t like this all my life. It’s more of a recent development that began with my PPD recovery and peaked this past year. I’ve gotten tired of doing something just in the past year. What is it, you ask? Well, I have stopped feeling bad about not being able to make friends with Chinese women (from overseas) whose daughters are about my daughter’s age who are completely the opposite from my daughter in that they look and behave like they’re from overseas. They speak Mandarin fluently, not to mention are already competitive and driven to succeed. I get this vibe from these mothers that make me feel like I am on a completely different wavelength (or planet, even) from them. I carry myself differently from them, speak differently, look different, and see things through a different lens than they do. Doesn’t help that I feel like a football player next to them….all big boned and “sturdy” looking. Ha! All my life I have been looking for a group with which I could readily identify. Sure, I get along with people easily, in general, but that’s not something I found easy to do until very recently. When I was a teenager, I didn’t fit in with the rest of my caucasian class of approximately 350 students. Nor did I fit in with the kids in my Chinese church. I fit in more with my Chinese teen club because these were kids who were about the same age as me and who, like me, grew up in very caucasian environments as a Chinese American. But I still didn’t closely identify with any of them. Nothing really changed in college. Although there were Asian clubs at my alma mater and throughout the Five College area that my alma mater happened to be a part of, as well as at Columbia University and NYU (since I had friends at both those schools), I still didn’t really feel like I truly fit in with anyone in those clubs. I learned that–we could be Asian-looking on the outside–but that doesn’t matter. As far as women are concerned, the claws will come out and their lips will flap to turn others against you, and gullible guys (and women) who don’t know any better will listen to them. And the working world in the Tri-state area hasn’t been that much better. At work, it’s non-stop work, work, work. In this day and age, the environment is one of high stress and very little time to have the opportunity to develop friendships with any co-workers. Sure, I was part of a determined group that started up the very first Asian employee network in the NY metro area for our company, and I’ve made a good number of friends from my involvement with this network for many years. But again, there was no meaningful bond. And I won’t even go into detail about my ‘hood because I’ve blogged about this before, and let’s just say that I’ve found it hard to fit in here as well. I always feel like I’m on a different wavelength with the majority of people living in my immediate area….perhaps it has to do with the fact that I am one of the few mothers that went right back to work promptly after my 3-month maternity leave was up. Doesn’t help that–like I’ve said previously–I was raised by parents who never really mingled with neighbors or relied on them for anything. I know I have the ability to change that tradition, but honestly, it’s hard when you work all day long and by the time you get home, it’s only a few hours before you gear up to start the cycle all over again the next morning. It’s also hard to get beyond the feeling that you are just not as great as parenting as they all are…these mothers who seemed to lead perfect maternal lives, keeping perfect homes, cooking and baking for their families, carpooling with other neighbors’ kids to/from school each day, attending their kids’ soccer matches, etc. O-M-G. I’ve been having a hard enough time just scraping by–having emerged from my PPD experience back in 2006–in taking turns with the hubs in rushing off in a panic to drop the kid off at before care each morning, coming home from work late everyday and trying to scrape a meal together for all of us before it’s time to put the kid to bed. It was at my first Postpartum Support International conference that I felt a sense of belonging, understanding of the pain I’d experienced, and validation that I wasn’t the only one who had suffered such an experience. I finally found a group with whom I shared the common bond of wanting to become more knowledgeable about PPD and wanting to help other women. I felt comfortable and comforted being in their midst. The attendees were, for the most part, PPD survivors who became impassioned enough about the subject to become MDs, PhDs, and social workers who treat women with PPD. It wasn’t until this past conference that I just attended in Minneapolis that it dawned on me that….hey, wait a second, I think I’ve found my tribe! I’ve always felt like I shared a common bond with the amazing ladies that are members of PSI, but I have to say I’ve never felt such a natural bond with people from different parts of the country and with all different personalities and backgrounds–than I felt at the PSI conference last week. I felt incredibly comfortable and at home, despite the fact that I was in a city I’ve never been to (and had never previously thought of visiting). Being with this group of women helped me to feel like I was at home. Most of us are survivors of a postpartum mood disorder. Most have dedicated their lives to supporting women from a research and/or support basis as social workers, lactation consultants, midwives, doulas, therapists, and founders of PPD support organizations in their local communities. 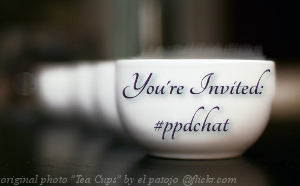 I am a PPD survivor, blogger and book author who shares their desire to spread awareness about postpartum mood disorders and providing mothers with the support they need during the postpartum period. I’d like to do more, but I just haven’t figured out what exactly yet. These ladies are caring, dedicated, down to earth, and amazing. They are far from catty, competitive and superficial–attributes I remember all too well among fellow students and even among colleagues at work. It felt good and natural to be with them, and I must say that I look up to each and every one of them. I have so much respect and admiration for all of them. They make me realize I have certain shortcomings that prevent me from doing what they do each and every day, working directly with women who need help. They inspire me to want to do more for mothers out there! I had such a great time in those 2 short days I spent at the conference, and so looking forward to seeing them all again at next year’s conference at the University of North Carolina/Chapel Hill! Thank you for your note. I am definitely interested in learning more about this Blue Dot initiative, and will reach out to you shortly. Will try to do so this weekend. I can’t find your email, so thought I’d leave a comment, so here goes…. I’m a reproductive psychiatrist at UC San Diego and treat women with mood, anxiety and every other kind of problem during pregnancy and postpartum. I see lots of women in real life who don’t talk about their struggles with anyone in real life, even though there’s amazing women like you in the blogosphere to let them know they’re not alone. So they end up isolated, and not realizing that another mom at that very same playground has been there or knows someone who was there too. The point is, there’s no “red ribbon” for postpartum/pregnancy depression like there was for HIV/AIDS, so one of my patients, myself, and the local chapter of Postpartum Support International designed it: The Blue Dot. Now, we need help spreading the word, and I am wondering if you’d be willing to mention this on your blog. The goal is for women who have been through a perinatal mood or anxiety disorder (or know someone who has) to get a blue dot and put it on their car–the more blue dots, the more that women who are going through it will hopefully realize they are not alone, there is help, and they can get better. Social isolation and stigmatization remain a huge issue in our communities, and the blue dots might be able to break some of these barriers. Our website is thebluedotproject(dot)org and for every blue dot purchased ($10), the majority of the funds go towards the Postpartum Health Alliance (a nonprofit chapter of Postpartum Support International, postpartumhealthalliance(dot)org), which will start dispensing grants to fund community-based projects once we have enough money to do so. I am super-excited about this, and any help you can provide, given your honesty and amazing blog would be awesome. My email is khirst(at)ucsd(dot)edu if you have any possible time/desire to discuss.